During a middle of the year during a quiet period I sat twiddling my fingers and realized that Gwent and Powys ACF required some qualified Adventure trainers, the people were there and just needed a bit of a nudge in the right direction to become a team capable of running an adventure without any expensive outside help. Money however was going to be a show stopper as funds were low. As the Crags and Mountains of North Wales were calling, I put this to the back of my mind and applied for authority to train. Unlike their regular forces counterparts, it can be difficult for Cadet Force Volunteers to dedicate time and effort into gaining qualifications, jobs and general life issues tend to get in the way. When you add injury or sickness to this, it is difficult to get a dedicated team together all at the same time. This being my first experience with “Joint Service Adventure Training Form Alpha” (JSATFA) it was always going to be a learning experience, a large amount of help from my HQ and some more from Headquarters Support Command and we were up and running in that department. Accommodation was booked at Capel Curig. The money issue was resolved by some good work by our Cadet Executive Officer and Commandant; I apologize for emptying the account, short-term pain for long-term gain. 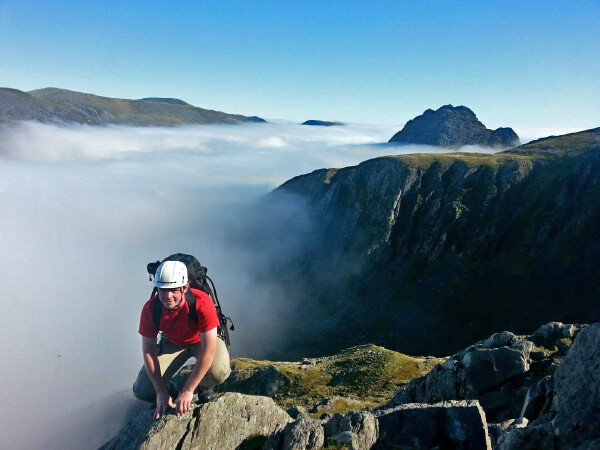 Weekend 1 To take a small number of selected adults to Snowdonia and either introduce them to mountaineering or climbing and prepare them for a joint service qualification or a civilian qualification in their chosen activity. Weekend 2 To give the adults more experience in their chosen activity by giving them cadet students to teach in realistic situations. 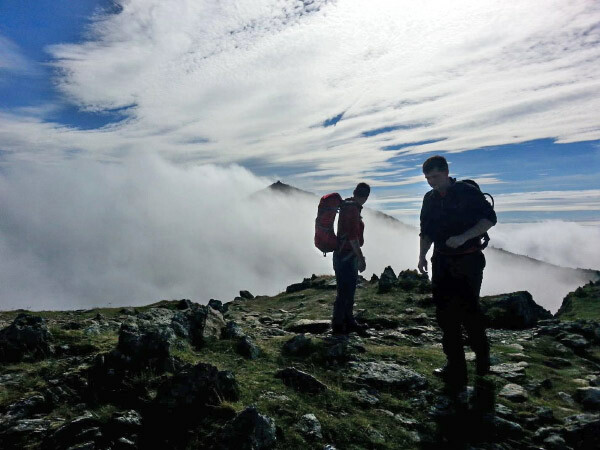 To introduce senior cadets to mountaiteering, single pitch or multi-pitch climbing. The Team Our instructors for the weekend were Graham Carter, Glyn Sheppard, Guy Buckingham and Glyn Calland. 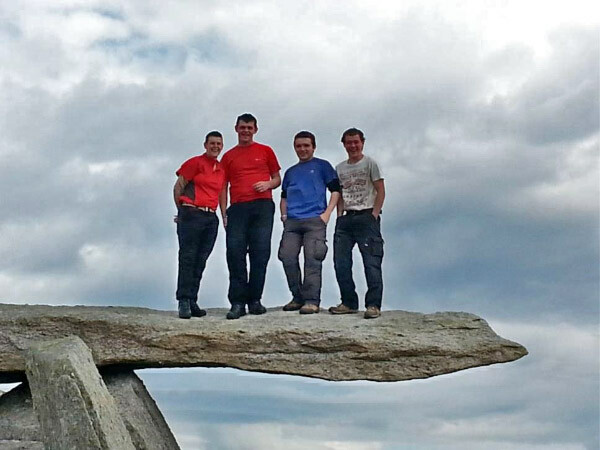 All have worked within the military and have a huge background in the joint services mountaineering scheme. After a few weeks with some last minute dropouts, injuries and what felt like herding kittens, the first weekend was underway. Maj. Emma Davies and AUO Jo Sumner were selected for multipitch training due to their previous experience, Lt Jason Till was selected for a Single Pitch Award training session and AUO Jamie Ford and SI Sarah Russell were our potential mountaineers. The Climbers headed off to Holyhead Mountain via Tremadog just to check whether the Met office had it right that day, an intro to leading and multi-pitching for some and lots of setting up top single pitch systems for others. 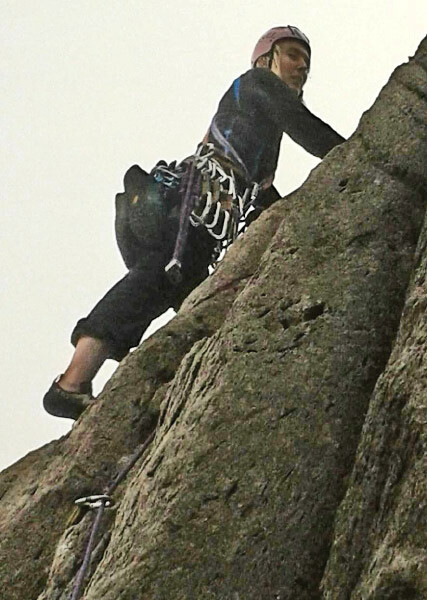 Emma Davies and Jo Sumner again visited Tremadog in better condition and managed a couple of leads on Christmas Curry (severe) and Yogi (Very Difficult). The Instructors Glyn and Graham trying to encourage our two climbers not to put so much gear in and then dealing with them hardly putting any in on the next pitch. I’m sure it was a stressful day for all involved but they all came back smiling and safe. The last training day for the climbers was in to Idwall slabs, Jo Sumner Lead Tennis Shoe (Severe) and Emma Davies Lead Hope (Very Difficult). So after some good multi-pitch leads the Climbers now had 4 days to rest and reflect before the Cadets appeared. Jamie Ford and Sarah Russell were stuck with me for both weekends, so a couple of big hill days was on the cards. Snowdon Via Gribbin, (Grade 1 Scramble) followed by Crib Goch was our first big day out. As aspirant ML’s they coped well with the exposure and defined the limits of what an ML and an Advanced Summer Leader can do. Day two continued with Moel Siabod and a descent of the south ridge to a much needed hot chocolate and cake. The final day of training on the Glyders, while the climbers were down in the mist in Cwm Idwall we broke through the cloud on Seniors Ridge for fantastic views of the national park poking out through the cloud. Much needed rest followed before the cadets arrived the following weekend. The Final Weekend It was time for the training to be put into practice, our two multi-pitch climbers headed off to Tanygrisiau with one Student each. Despite the Cadets never having been on a multi-pitch route before and our trainees never having to deal with novice climbers they were instructed to a high standard. The second day took them again to Tremadog where a repeat performance with good instruction to the Cadets and Plenty of “Bomber” gear placements. Our trainees completed 2 routes each up to the grade of Very Severe on the Crag gem of “One Step in the Clouds” Both Glyn and Graham were of the opinion that had this been a Rock leader assessment both would have passed and were well above the standard. Lt Jason Till Spent one day brushing up on his single pitch setting up and is now in a confident position to go for his Single Pitch award. 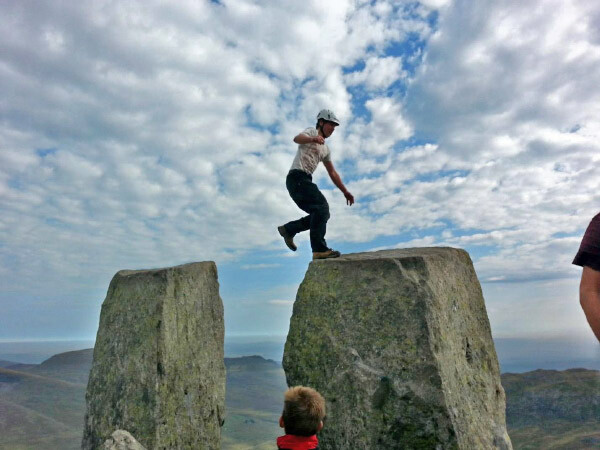 The Mountaineers spent the first day with two of the more experienced Cadets on the North Ridge of Tryfan, Bristly ridge and then a descent of Gribbin. Three quality scrambles in one day. Good communication and leadership ensured a safe day for all and our trainees gained invaluable experience. Lt Jason Till joined us for the last day, as an ML he is also looking to progress to Advanced Summer Leader so practiced some short rope techniques on the North ridge. As it turned out we had a slightly nervous Cadet who had been climbing the day before on some big routes, Jason protected him well giving confidence and a tight rope when it mattered. 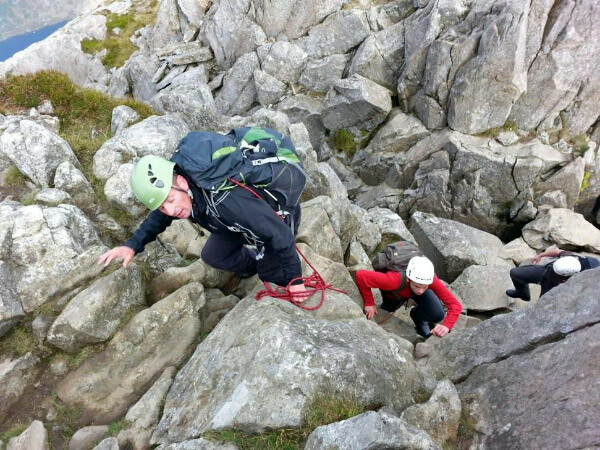 To Summarise the Exercise we took five adults and Six Cadets to Snowdonia and now have a very good chance of training up two Rock Leaders, and soon after they can progress to Rock Climbing Instructors. Two very good aspirant MLs who can gain more experience before attending a mountain leader Course. 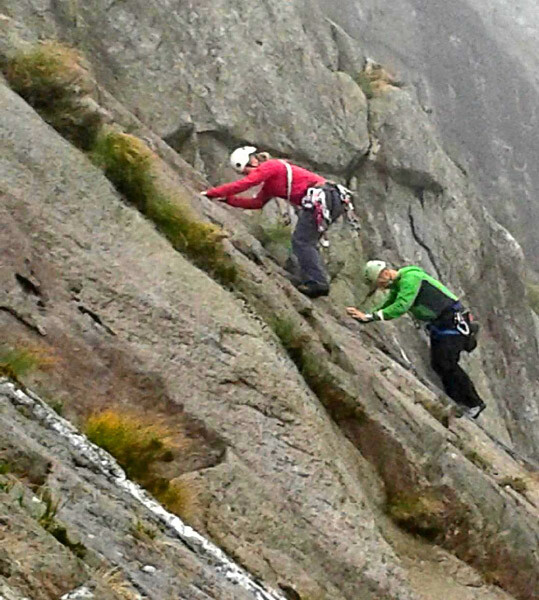 One Mountain Leader who can attend an Advanced Summer Leader Course and after a bit more climbing can attend a Rock Leader and Single Pitch award Assesment. We also managed to introduce 4 Cadets to Scrambling and 4 Cadets to multi-pitch Climbing, two of which we have identified as being possible Adventure Training instructors of the future. It’s now about keeping the momentum going and developing more coaches and leaders in a range of activities.